I will be heading to Dublin today to be part of the Women In horror Month weekend being hosted by Sara Louise Elliot. 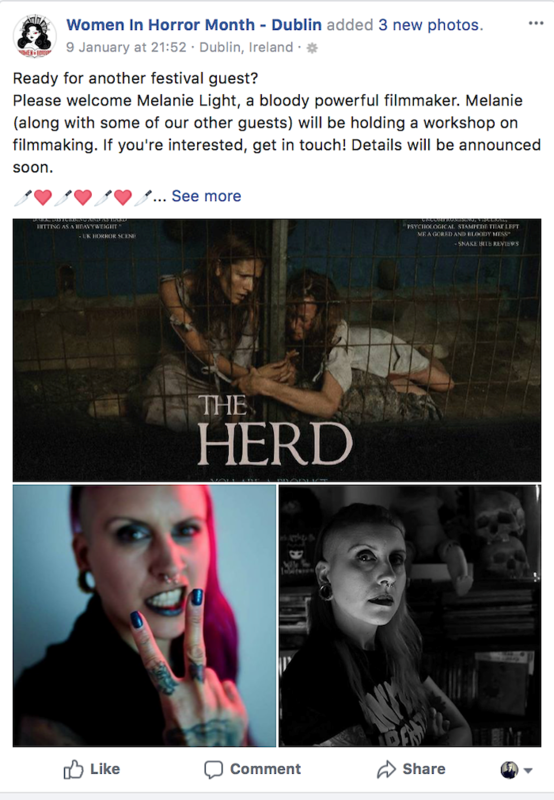 I will be on a couple fo panels talking, screening The Herd and also talking part in a film making workshop with fellow film maker Katie Bonham. Lots going on and looking forward to a trip to Dublin!